The Daily Sabah reports that the Turkish defence and aerospace vendor Baykar Makina will develop a jet-powered unmanned aerial vehicle (UAV) with a maximum take-off weight (MTOW) of 4,500 kg. The announcement was made by Baykar Makina’s technical manager Selçuk Bayraktar, who also revealed that 30 Bayraktar UAVs are in service with the Turkish Armed Forces (TSK) as well as Generate Directorate of Security. 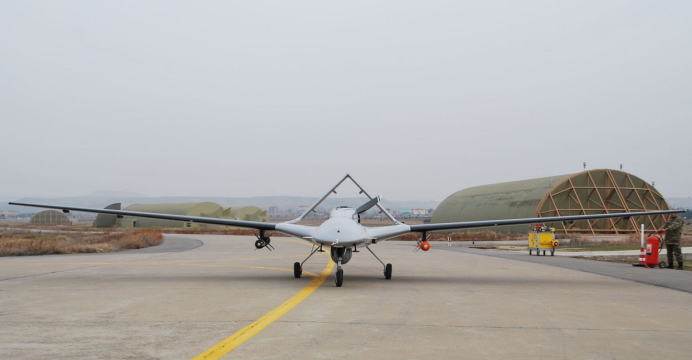 The Bayraktar TB2 is serving alongside with the Turkish Aerospace Industries (TAI) Anka UAV in counter-terrorism and counterinsurgency operations in Turkey. The development of a jet-powered drone capable of undertaking high-risk missions, such as suppression of enemy air defence (SEAD) operations, has been one of Baykar Makina’s long-term objectives. In 2015, the company had outlined basic design objectives for such drones to a joint government-industry panel (via Mönch Turkiye). One of the proposed designs had a listed MTOW of 3,000-4,000 kg, payload of 1,000 kg, endurance of four to five hours, flight ceiling of 40,000 ft and cruise speed of Mach 0.8. It is not known if Baykar Makina opted to continue developing that design or if it has an alternative, but the principal aim seems to allude to the development of a UAV analogous to the General Atomic Avenger. Granted, the Avenger is a significantly larger design with an MTOW of over 8,000 kg and payload of 3,600 kg. However, the basic design decisions may be similar, such as the emphasis on low detectability on radar (via a small radar cross-section and internal munitions bay). 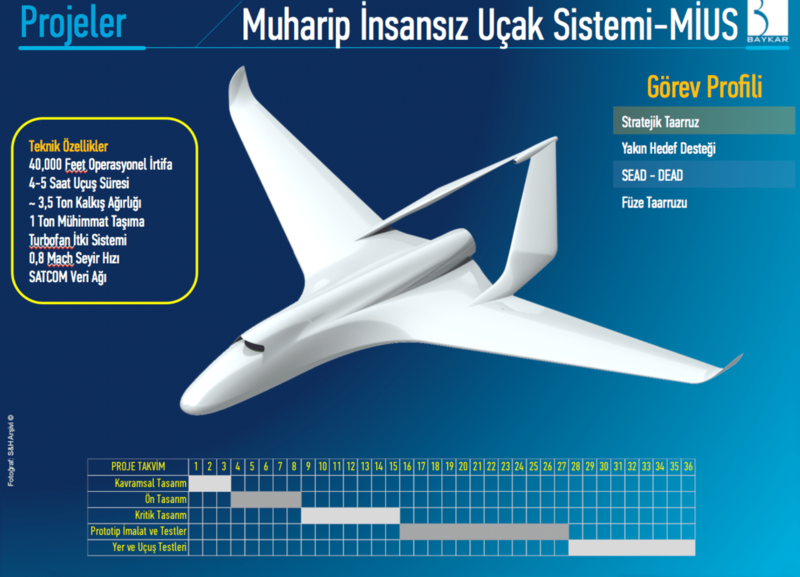 Through the TAI Anka and Baykar Makina Bayraktar TB2, the Turkish industry has developed several UAV-centric subsystems and munitions, including Aselsan electro-optical and infrared turrets and Roketsan MAM-C and MAM-L air-to-ground missiles. Integral to long-range UAV usage will be Turkey’s forthcoming TÜRKSAT-6A communications satellite, which will be equipped with two X-band transponders. In tandem, CTECH Bilişim Teknolojileri A.Ş. is the TSK’s principal supplier of satellite communications (SATCOM) terminals, which will make their way to the TAI Anka and future UAVs.